I mean who doesn’t enjoy a favorite recipe you can replicate at home. 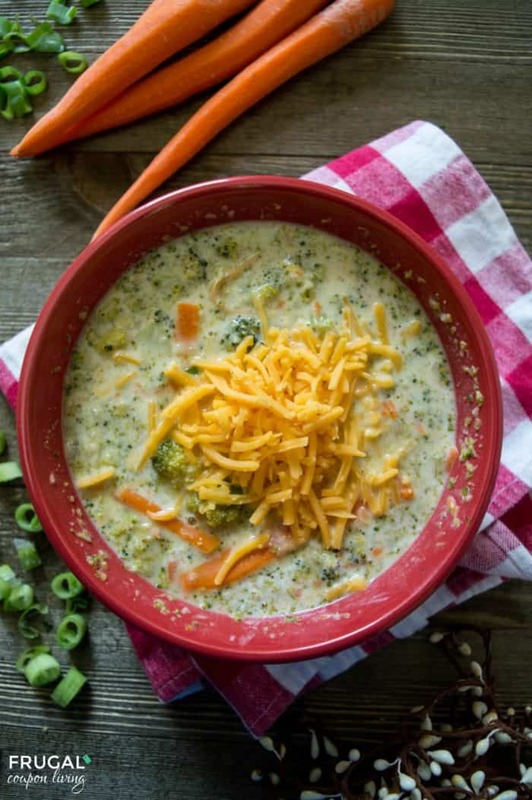 Enjoy this Copycat Panera Broccoli Cheddar Soup in your own kitchen. We bet it will be a comfort food recipe you make over and over for the family! I am obsessed with Broccoli Cheddar and I have no reservations telling myself this is a hearty side of veggies. 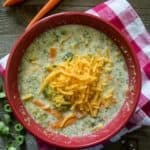 Enjoy this Copycat Panera Broccoli Cheddar Soup Recipe and don’t forget our very popular Copycat Panera Autumn Squash Soup Recipe. Melt butter in a stock pot over medium high heat. Once butter has melted, add in onions and saute for 3-4 minutes and then add in garlic for the last 30 seconds. Whisk in flour and stir until flour mixture begins to turn a golden color. Slowly add in half and half, whisk until smooth, and then slowly add in chicken broth, and seasonings. Reduce heat to medium low and simmer mixture until thickened -about 9-10 minutes. Add in broccoli, carrots, and celery. Continue to cook at a simmer until vegetables reach desired tenderness, about 20 minutes or so. 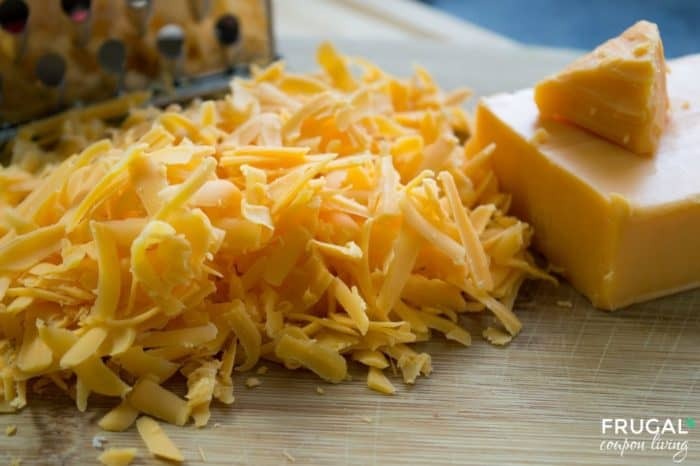 When vegetables have reached desired tenderness, reduce heat to low and add in cheese, cook an additional 3-4 minutes. Tips: Fresh is best! Use block cheddar cheese. If you can get a block and shred it yourself, go this route! Your soup will taste so much better! Additionally, to speed cooking time, steam broccoli before adding it into the soup. Who doesn’t enjoy a favorite recipe you can replicate at home? 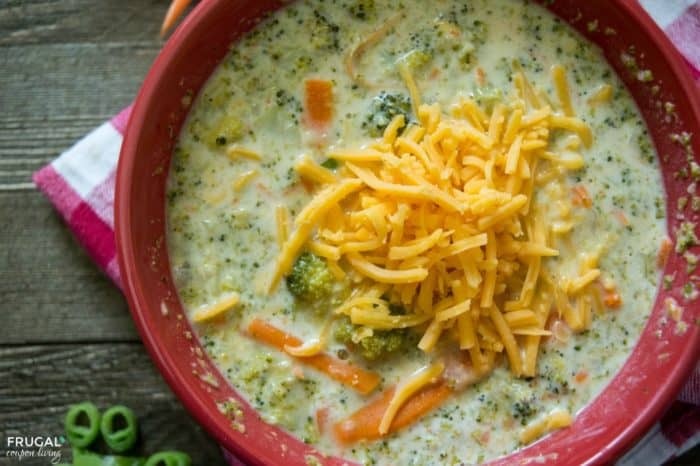 Enjoy this Copycat Panera Broccoli Cheddar Soup in your own kitchen. We bet it will be a comfort food recipe you make over and over with your family! 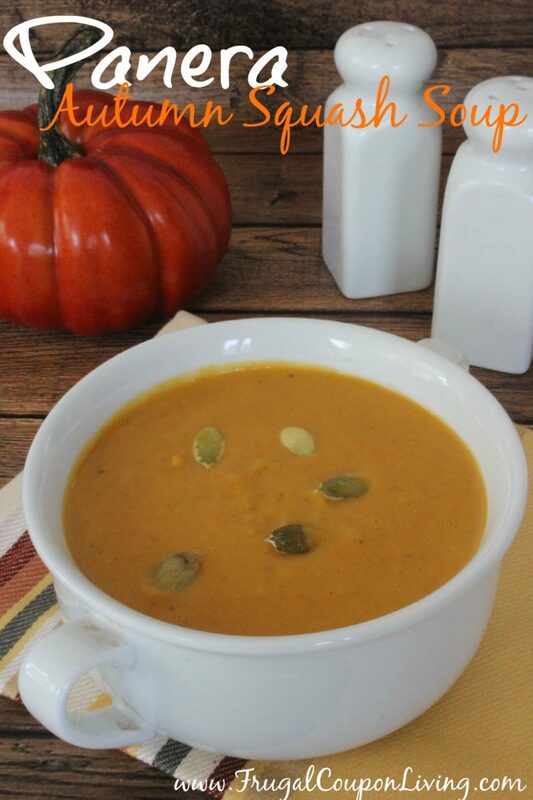 This has been one of our more popular soup recipes, Copycat Panera Autumn Squash Soup. Pin to Pinterest. 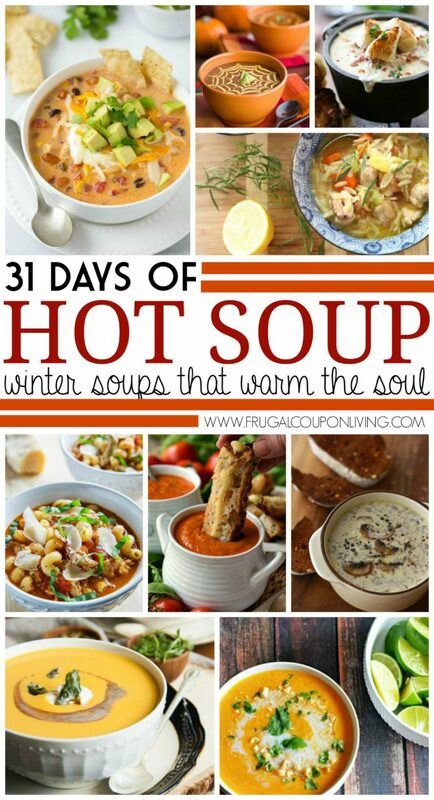 Also, take on this challenge – 31 Days of Fall & Winter Soups. And if you don’t want to do soup for 31 days, just choose your favorites! Pin to Pinterest.